These guns are allowed in the airport. 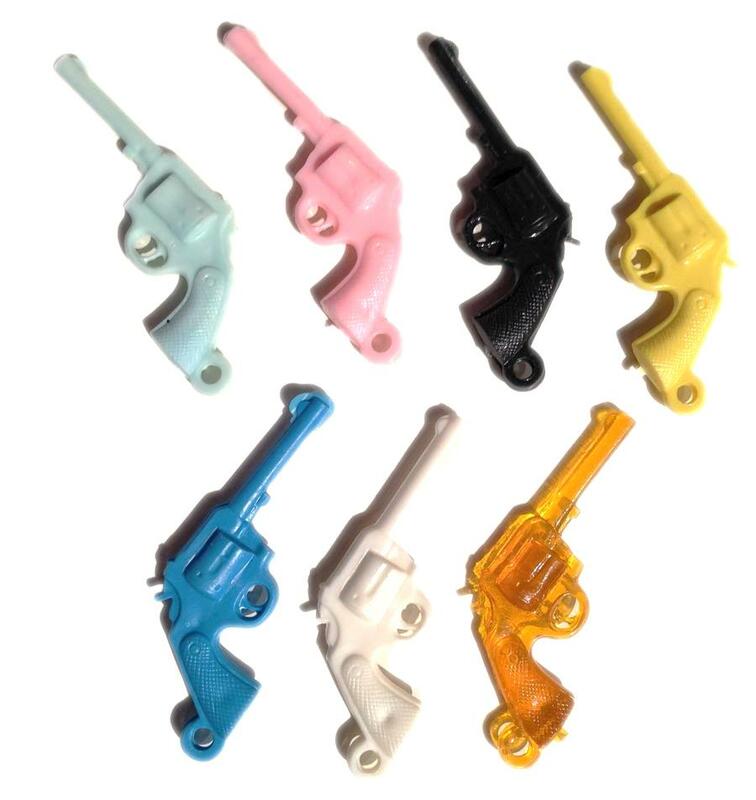 Plastic gun charms can be sewn on to stuff, used in jewelry, or used for whatever you can think up. Measures 2" by 3/4", 1/4" at its thickest.